Eastgate Smiles! 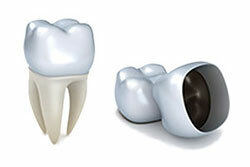 Dental Care offers dental services in Cincinnati for the whole family. Is it time to schedule your toddler’s first pediatric dentistry visit, or is your teen grinding her teeth? From teeth whitening to oral cancer screenings, Dr. Garrison and Eastgate Smiles! 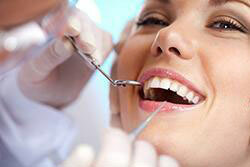 Dental Care team is there to help you with all your dental care needs for everyone in the family. When it comes to your family’s dental health, you can expect a great experience when you visit our offices. The staff knows how to expertly care for patients of every age from the squirmy, scared child to the informed (and sometimes scared) adult. Whether you need a friendly family dentist, an Invisalign specialist, or an expert to help you with dentures, crowns or fillings, our Cincinnati dental clinic has everything you and your family need. 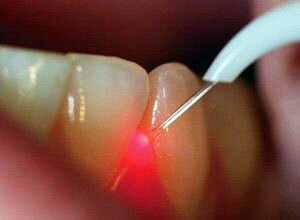 You may no know it, but every time Dr. Garrison examines you at your cleaning visit, she performs an oral cancer exam! She checks your tongue, floor of the mouth, palate, cheeks and other areas to screen for various forms of cancer, premalignancies, and other sores and lesions. We believe strongly in this vital preventive screening process, and we do not charge any extra fee for this service. Our practice uses the newest laser technology to provide painless surgical procedures for our patients without a scalpel. Our Discus NV diode dental laser can be used for various procedures such as painlessly re-sculpting the gumline, biopsies, excess tissue removal, and other procedures that used to require surgery and stitches. The precision laser treatments only remove a few cell layers at a line, resulting in little or no post-op discomfort, shorter healing times, and painless procedures. The laser can also be used to treat painful canker sores and fever blisters, stopping the pain immediately and cutting healing time and pain dramatically! Come in for a consultation and ask us about it. 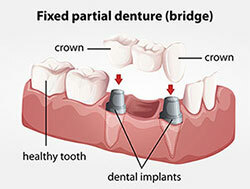 We have two new medications to treat certain cases of gum disease without surgery! An estimated 50 million adults have periodontal disease (gum disease) which is a painless, silent leading cause of tooth loss and bad breath. It has also been linked to several systemic diseases and can aggravate common medical problems such as diabetes, heart disease, lung disease, and other disorders. It is important to treat the disease when it is detected. 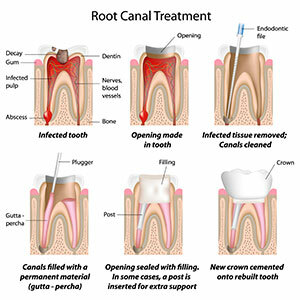 Usually, gum surgery is needed to treat advanced cases of periodontal disease, but often mild and moderate cases can be treated successfully with a painless procedure called root planing and curettage plus the use of one of these medications. A choice of two new medications can now be used in selected cases and even in some isolated cases where surgery had not been successful in one or two areas (refractory periodontitis). Many people have a serious problem of subconsciously grinding their teeth, either in their sleep or even while awake! This continual gnashing of the teeth is an actual medical condition called "bruxism". Clenching (bruxing without lateral grinding movement) can be just as harmful. Both can lead to worn, chipped, and sensitive teeth, muscle soreness due to over-exertions, headaches, TMJ pain, and other oral-facial pains. If you’re looking for an Eastgate pediatric dentist your children will love, you’ve come to the right place. 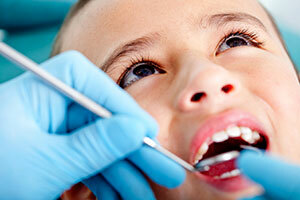 Catering to the dental needs of kids requires a special touch. Pediatric dentists are specially trained to treat the oral health needs of children, from infancy through their teenage years. This involves in-depth knowledge about children's behavior, as well as their growth and development. Pediatric dental offices are also designed to make kids feel comfortable and relaxed – with plenty of toys, activities and a warm, inviting and fun décor.